Handmade Detroit | Kids Back to School Wardrobe Workshop! Kids Back to School Wardrobe Workshop! September 1, 2011 (ANN ARBOR, MI): Rae Hoekstra (Style Maven of Made by Rae.com) and Karen LePage (patternsbyfiggys.com & Co-author of Sewing for Boys; Wiley, 2011) are delighted to offer a 5-week course in children’s garment-making at Blue House Ann Arbor. The class will be held on Monday evenings from 6:30-9 p.m. in Blue House’s comfortable and inspiring main crafting area. Students will learn to make kids’ clothing within a progressive skill-building course. Projects range from simple pants to a reversible coat and are appropriate for students with beginning to intermediate sewing experience. Class size is limited to 8 students to ensure individual attention and hands-on instruction in a supportive environment. Students will build skills they can apply across all future garment projects, and children’s garment and accessory sewing patterns to use again and again! Space is Limited! Email bluehouseannarbor@gmail.com or call (734) 707-7222 to reserve a seat. Rae Hoekstra (Ann Arbor, MI) is a former high school physics teacher turned world-famous blogger and jet-setting sewing pattern designer. She sews frequently for herself and her two small children and blogs her sewing escapades at the wildly popular sewing blog, Made By Rae. Rae designs and sells digital sewing patterns for childrenswear and purses. She is a founder of the Southeast Michigan Crafter’s Meetups which meets monthly to craft and eat snacks. She also teaches sewing classes at Blue House in Ann Arbor Michigan. 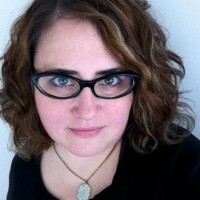 Her work has been featured by Robert Kaufman, Sew Mama Sew, and the popular design blog, OhDeeDoh, to name just a few. You can find her online at http://made-by-rae.com. Karen LePage (Northville, MI) is a handmade children’s clothing and sewing pattern designer. She is the owner and creator of the “One Girl Circus” & “One Boy Circus” clothing lines, and creative and technical partner for Patterns by Figgy’s. 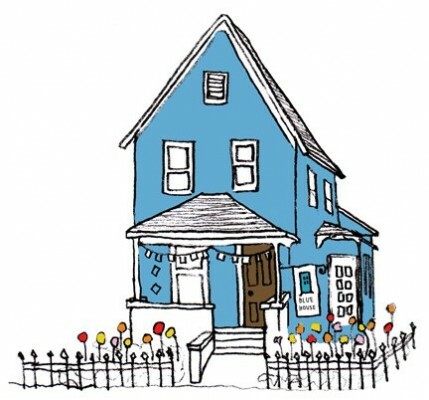 She also participates in Handmade Detroit events and holds workshops and crafty get-togethers with Rae at the Blue House Ann Arbor. Karen won an Editor’s Choice award for her participation in Maker Faire Detroit 2010, and gave a demonstration at this year’s event. Karen has been a featured author on Instructables.com and her work has been included in such international press and media outlets as: Sew Hip Magazine, Sewing World Magazine, Cloth Magazine, and others. She blogs at http://onegirlcircus.com.